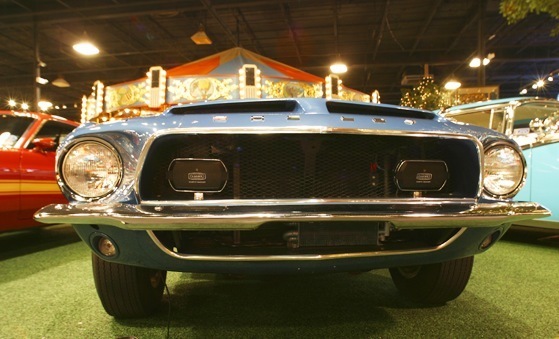 The Shelby Mustang is a high performance variant of the Ford Mustang. 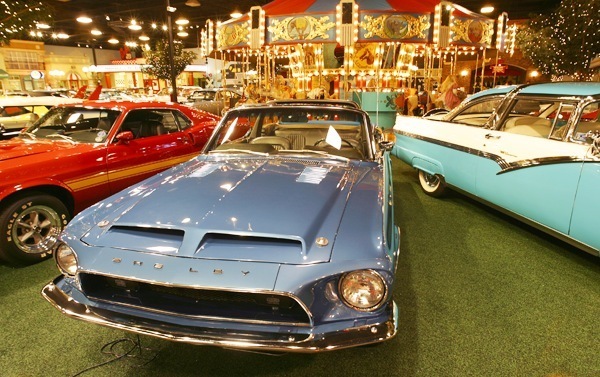 The 1965, 1966 and 1967 Shelbys were a series of Ford Mustangs which were specially modified by Carroll Shelby’s company and sold as a series. 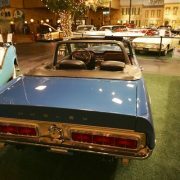 The program was factory-sponsored by Ford to compete with the Corvette, also factory-sponsored by Chevrolet, neither of which could be built for the sales price charged. 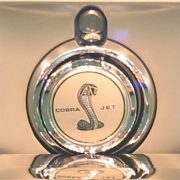 In 2007, following the introduction of the Fifth-generation Ford Mustang the Shelby nameplate was revived for new high performance models. 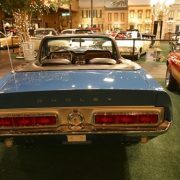 The 1966 was differentiated in body color (non-white versions were introduced – colors included blue, red, green and black, as well as the original white) and trim. The “Le Mans” stripes were continued as an option, as in 1965. 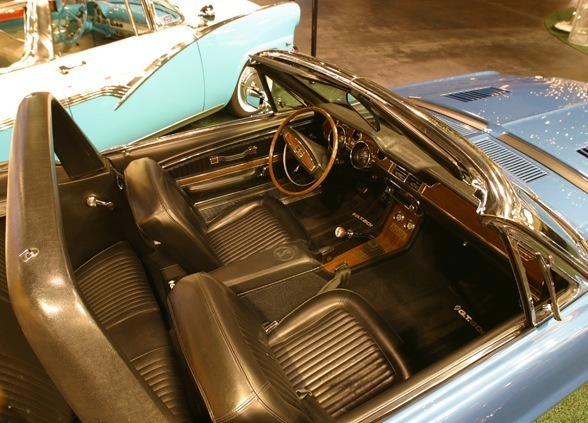 It featured special quarter-panel windows and rear air scoops on each side and an optional automatic transmission. 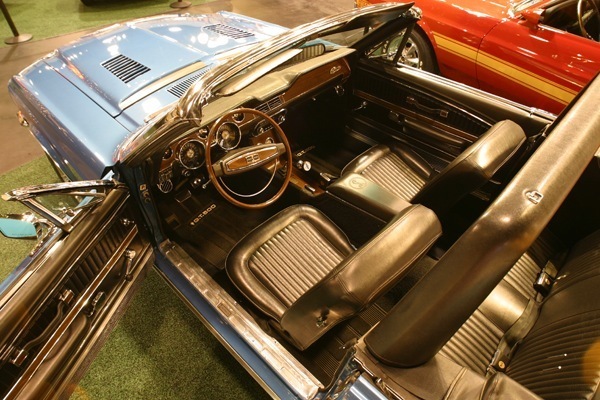 A fold-down rear seat was now standard as well. 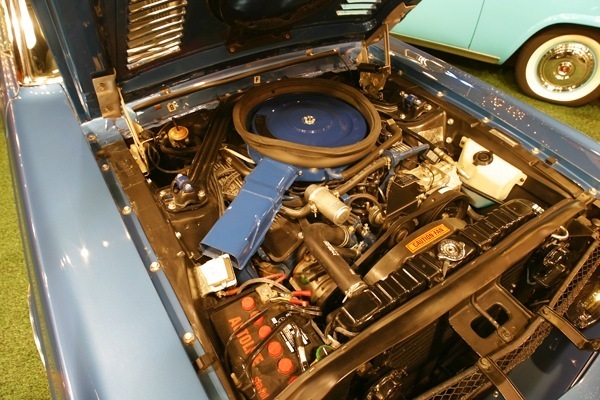 Where early 1965 cars had black engine blocks, 1966 and later cars had the 289 engine painted blue. 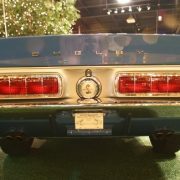 ** The first 252 GT-350s for 1966 were “carry-over” cars. 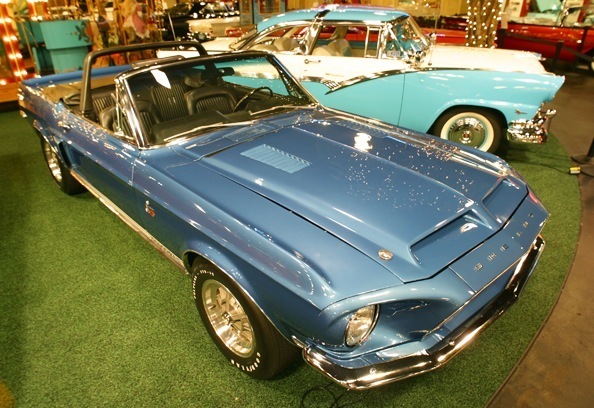 They had the 1965 Ford Mustang Bodies and 1965 Ford Mustang serial numbers under their Shelby serial numbers. 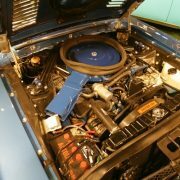 They had mostly 1965 features including standard Koni shock and Engines painted black. 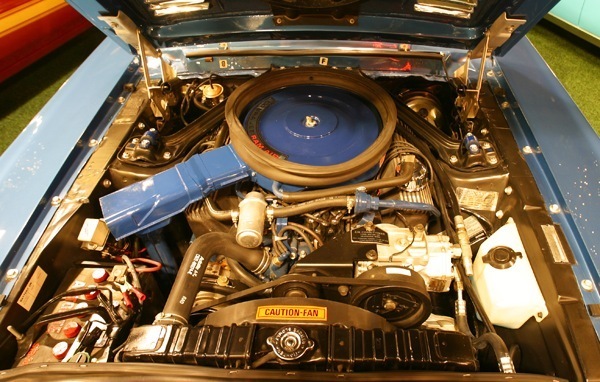 Blue engines did not occur in 1966 until after these 252 “carry-over” models were produced. 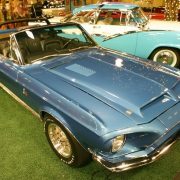 1966 production was 1373 fastbacks including (2) prototypes and (4) drag cars and (252) “carry-over” models with Ford Mustang 1965 bodies. 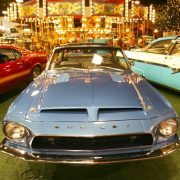 1001 Hertz fastbacks were produced including (2) prototypes. 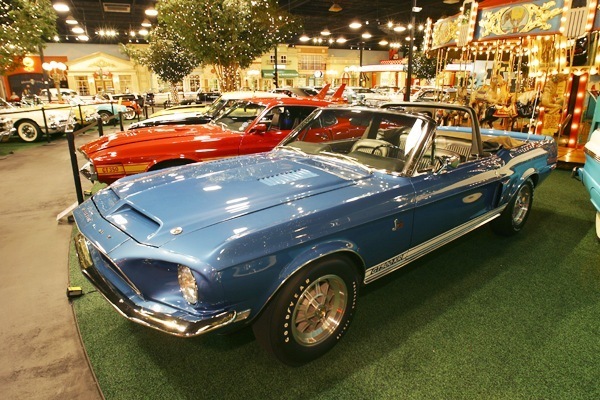 4 convertibles were also produced for a total of 2378 units for 1966.The original colours of the gt500 were metallic grey with some twin black racing stripes. 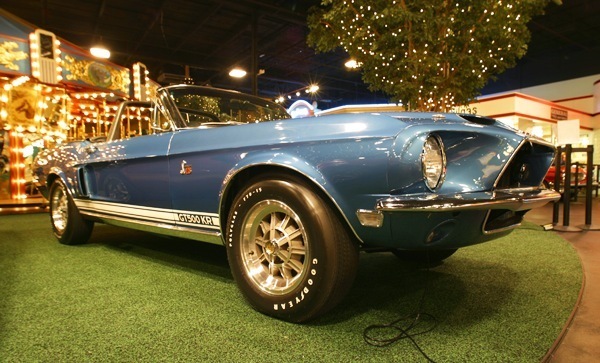 Shelby struck a deal with the Hertz Corporation to produce a special line of GT350s for rent which were subsequently sold to the public after their rental-car lives were finished. 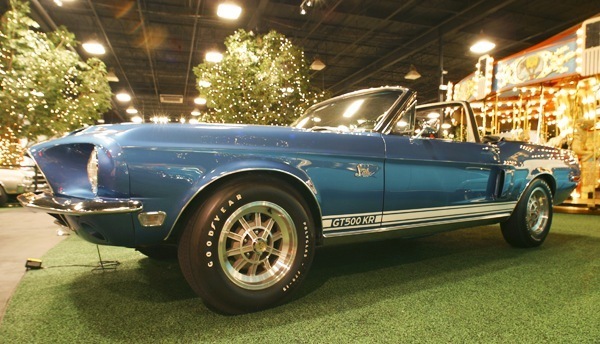 These ‘GT350H’ cars are quite rare and sought-after today, with some examples selling for more than $120,000. 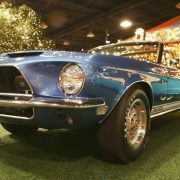 Shelby produced 1000 of these cars: 800 in Raven Black, and 50 each in Candy Apple Red, Wimbledon White, Sapphire Blue and Ivy Green. All Hertz cars featured gold LeMans stripes and rocker panel stripes. 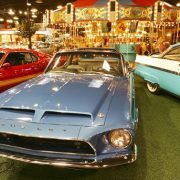 Early “Hertz” cars were available with 4 speed manual transmissions until so many cars were returned from rental with burned and broken clutch assemblies that all of the later cars shipped to Hertz were equipped with an automatic transmission. 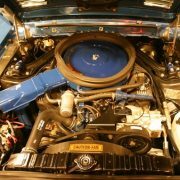 Many were rented to use as production class cars at SCCA events, some were returned with different engines, holes where roll bars had been welded in, and other modifications to legally run on the track. 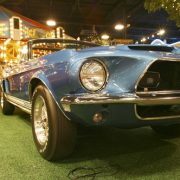 The Guns N’ Roses video “Don’t Cry” features a Shelby GT-350H with guitarist Slash at the wheel. 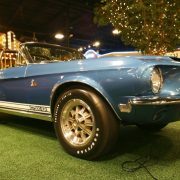 1967The new 1967 Mustang was followed with a new Shelby. 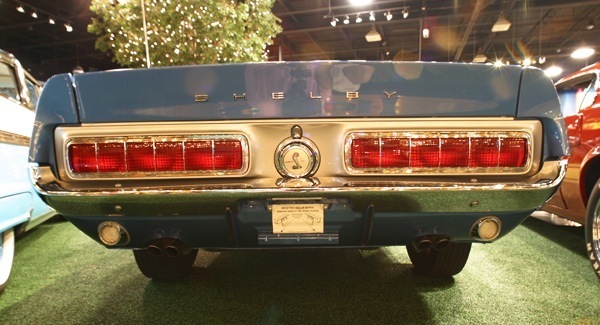 It featured a 1967 Mercury Cougar tail light panel minus the chrome trim, a flip-up spoiler, and two sets of air scoops on each side. 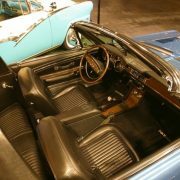 This was also the first American car to feature a factory roll bar. This year also saw the introduction of the GT500 alongside the continued GT350. 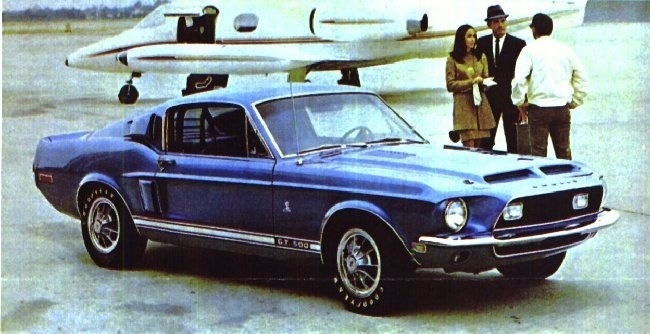 The new GT500 featured a 428-cubic inch(7 L) big-block V8. 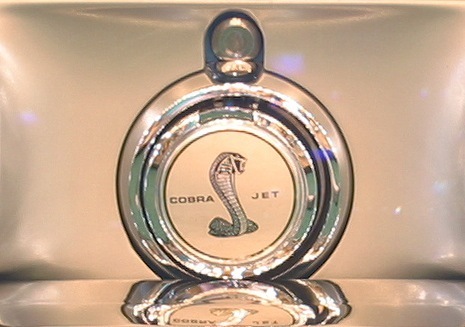 This is also one of the most famous Shelby Cobras. 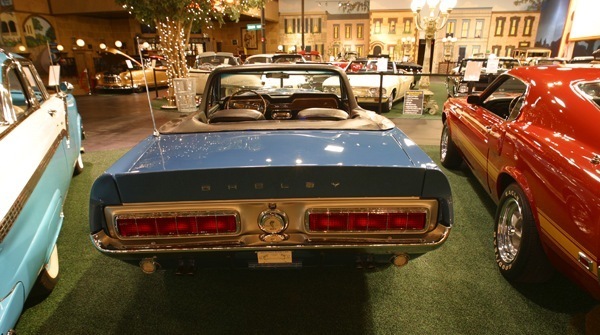 A convertible prototype of the GT500 was made in 1967, which was designated to be scrapped. Before Ford Motor Co. could destroy the prototype, it was stolen. 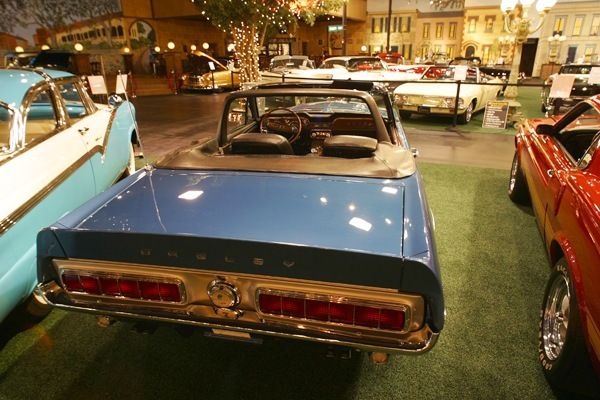 The car was eventually recovered by Ford and sold as ’68 with the marque Shelby Mustang. 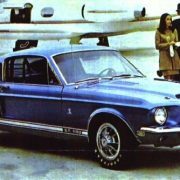 Production: GT350 1,175 units, GT500 2,048 units. In the production of the movie Gone In 60 Seconds Nicolas Cage and Angelina Jolie were two car theives who were forced out of retirement to save Nicolas kid brother from an evil mobster, legendary car booster Memphis Raines (Nicolas Cage) had to re-assemble his old crew to steal 50 cars in one night off which one of the cars included was the 1967 Shelby GT500 named the Eleanor. 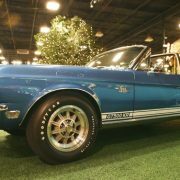 The Shelby GT350 Mustang sported a 302 cubic-inch V8 while the GT500 came equipped with the 428 cubic-inch Police Interceptor engine. 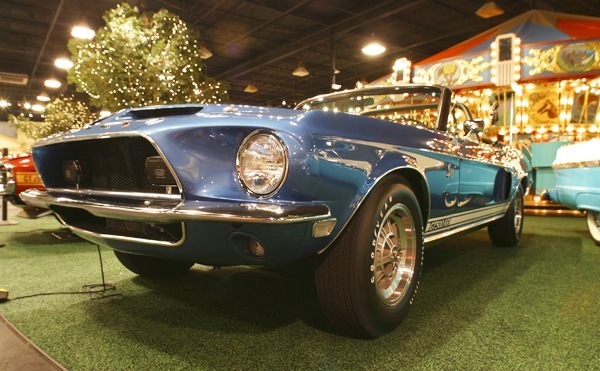 In February 1968, the GT500KR “King of the Road”. 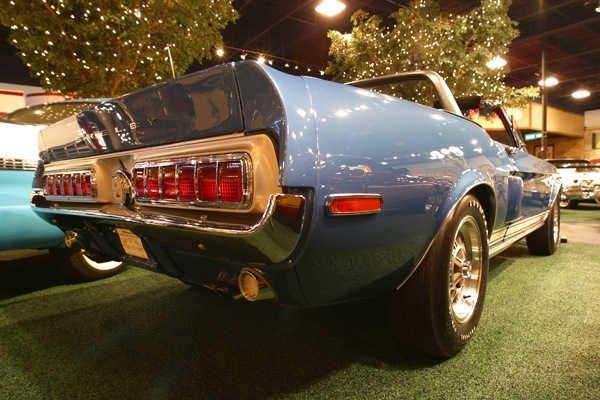 Under the hood was a 428 cubic-inch Cobra Jet V8 which was rated at 335 horsepower. 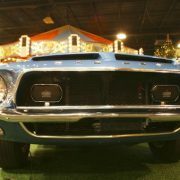 Carroll Shelby terminated his agreement with Ford in the summer of 1969. 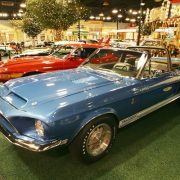 The GT350 and GT500 for the 1969 – 70 model years received extensive facelifts, the body alone increasing in length by 4 inches. 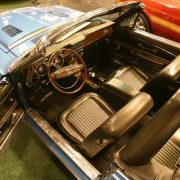 Ford was heavily involved with design and style decisions, with Shelby having very little input. 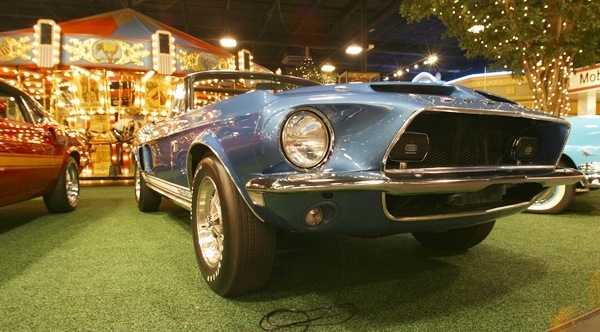 Production of Shelby Mustangs ceased with the 1970 model year. 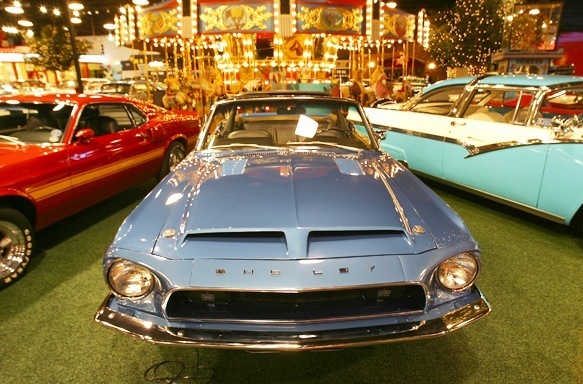 The 1970 models were in fact left over 1969 models. 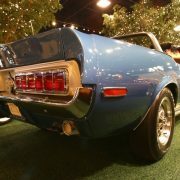 VIN tags from 1969 Shelby’s were removed and replaced with 1970 Shelby VIN’s with careful supervision from FBI agents.